*The 10 points of the Alpine Responsibility Code apply at all times as well. Dogs are not permitted on Martock property. Horseplay is not permitted while in the lift line, or riding the T-Bar or chair. All poles must have baskets. Poles with pointed tips are not allowed. Loading is only permitted from a designated loading area. Loading yourself at any point on the lift without a lift attendant is not permitted. Unloading from the T-Bar other than at the top or halfway is not permitted. Skiing out of track on T-Bar without a valid reason is not permitted. Skiing down the T-Bar lift line is not permitted. Skiing in the danger zone close to the bottom bull wheels on the return side of the T-Bar is not permitted. Pushing the stop button at halfway T-Bar without a valid reason or going through the safety gate at top T-bar without a valid reason is not permitted. Horseplay is not permitted while in the lift line, or riding on the chair lift. Unloading from the chair lift other than at the top is not permitted. Riding the chair lift with the safety bar raised is not permitted. Hanging over the chair lift safety bar is not permitted. Raising the safety bar on the chair lift before tower 11 is not permitted. Once the chair lift safety bar has been lifted, you must remain seated and not move too close to the edge of the seat. Bouncing on any lift making it dangerous for everyone riding up the mountain is not permitted. Standing up in the chair is not permitted. Defacing chair and tower pads, or any Ski Martock property is not permitted. Reaching or grabbing at the chair the while waiting in line is not permitted. Do not ski too close to grooming machines or other vehicles on the mountain. 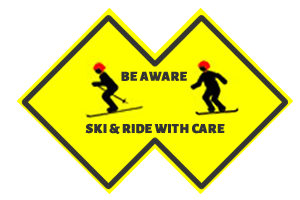 While overtaking other skiers, you should not pass too close or too fast in such a manner that you frighten other skiers. 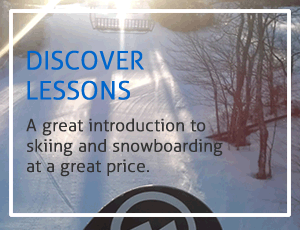 Skiing too fast is not permitted while approaching and entering lift loading areas. Fast skiing in Slow Zones (Magic Carpet & Buttermilk) is not permitted. Tucking or skiing straight downhill without using turns to control speed is not permitted. 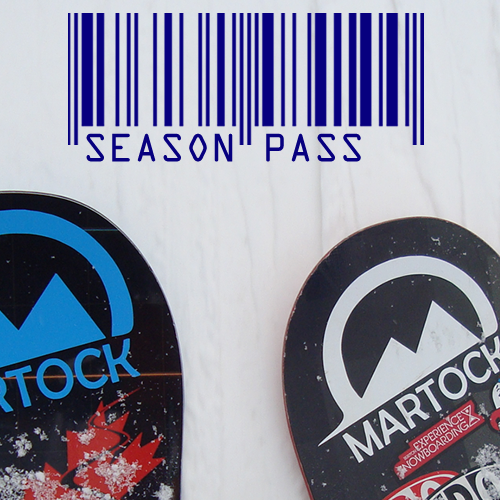 Possession of alcohol or drugs is not permitted on Ski Martock property. Profanity (foul language) and fighting is not permitted on Ski Martock property. Snowball throwing is not permitted on Ski Martock property. Stay off all terrain where competitions and training are taking place. Pulling out caution signs, fencing, marker poles, race gates, etc. is not permitted. Placing logs or any other objects in the middle of trails is not permitted. Going through the safety gate at top Chair lift without a valid reason is not permitted.